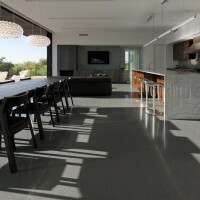 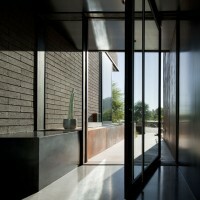 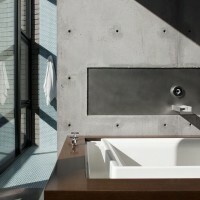 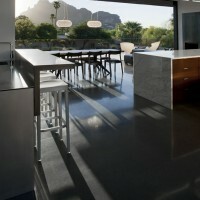 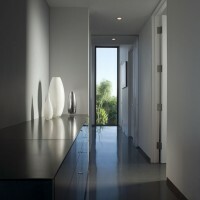 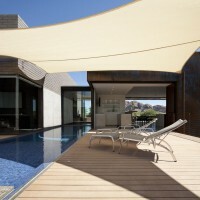 Chen + Suchart Studio designed the Yerger Residence in Phoenix, Arizona. 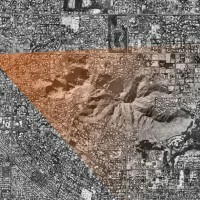 This site for this project has one main view to the east towards Camelback Mountain. 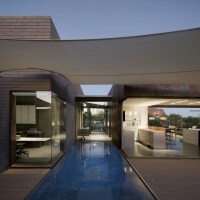 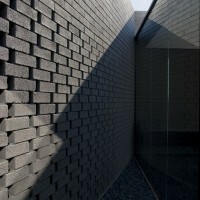 The intent of the project was to focus the views towards the iconic landmark to capture it and have it constantly presenced in the experience of the house while creating other introspective moments of experience. 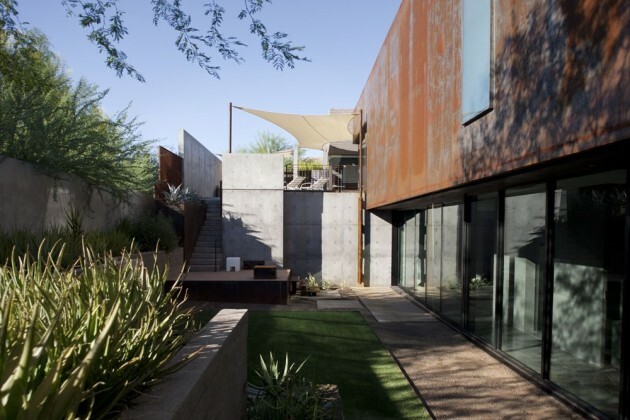 The project takes the form of an architectural cast-in-place concrete base upon which a floating sheet steel clad open-ended volume and an 8-4-16 masonry volume are situated. 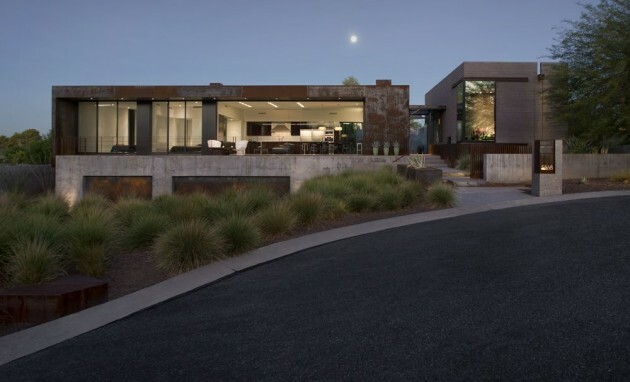 An entry sequence leading from the street, along a koi pond, into the entry, and to a negative edge pool distinguish the main public spaces and master suite while offering a place of repose. 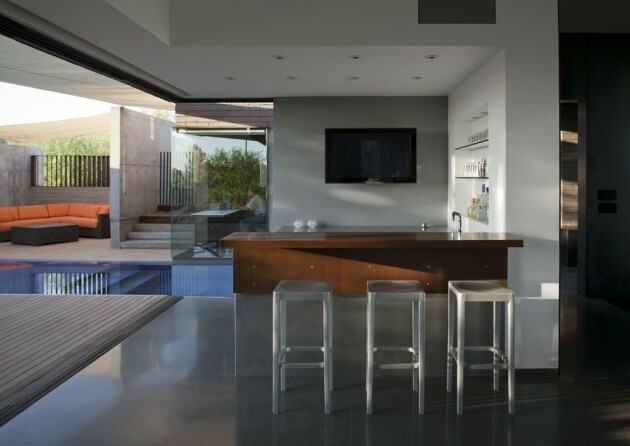 The main living space of the house maintains an open plan configuration and borrows Camelback Mountain and brings it into this space. 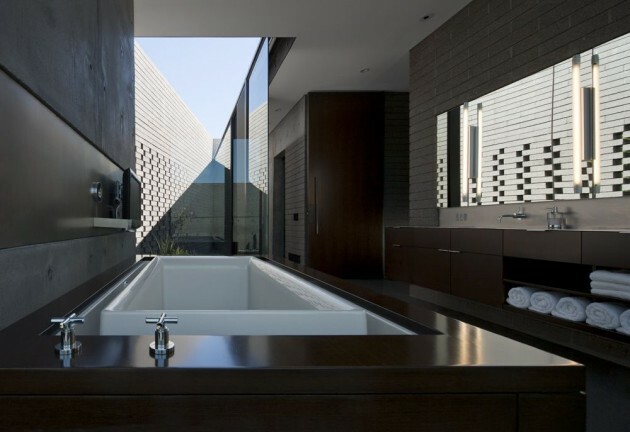 This relationship is further maintained by the ability to slide sliding glass doors completely away for an uninhibited view. 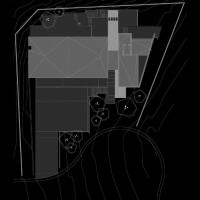 Two guest bedrooms, also part of this open-ended volume, afford the view due to the plan configuration of the bathroom and closet spaces along the west elevation. 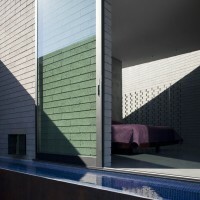 The master suite by contrast is a more cellular division of spaces that control views and privacy. 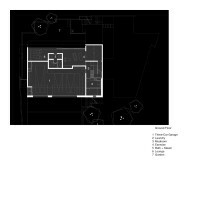 A study is located at the same level as the entry and living space while the master bedroom and master bathroom are situated higher in section to allow for additional privacy. 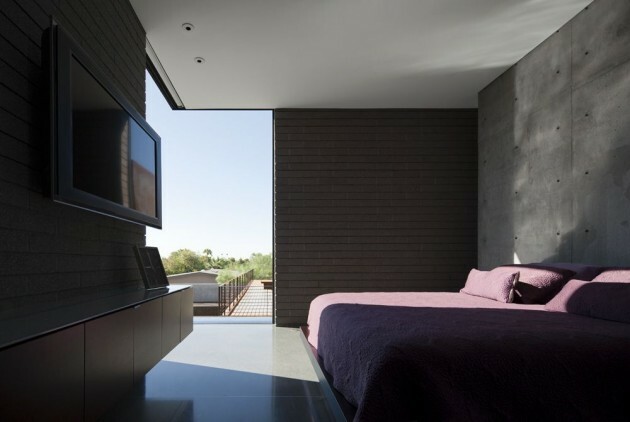 The master bedroom has one specific corner view whose sliding glass door is mounted to the exterior of the CMU volume in order to exacerbate the specifity of this view. 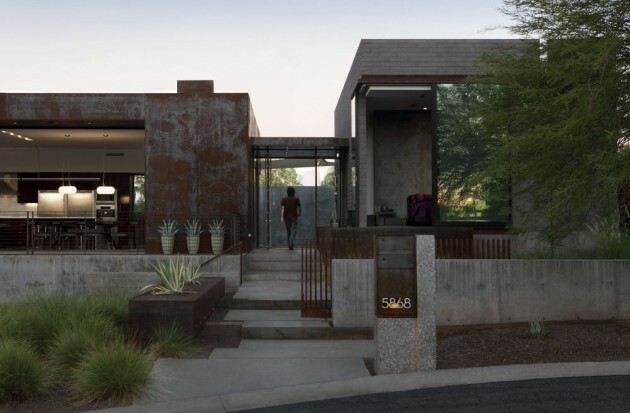 For reasons of privacy, the master suite is an introverted and focused series of interior spaces and exterior spaces while still maintaining a view to Camelback Mountain from the master bedroom. 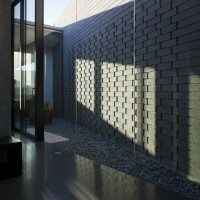 The CIP concrete base houses a sunken garage and an exercise area that leads to a sunken garden in the back of the house. 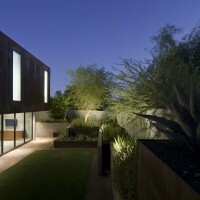 The exercise area can be opened up to the garden space for outdoor exercise as well. 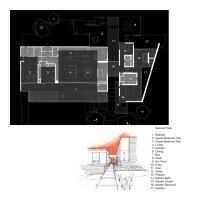 By configuring this base lower than the original grade, the project sought to minimize the impact of the vehicle as part of the primary elevation. 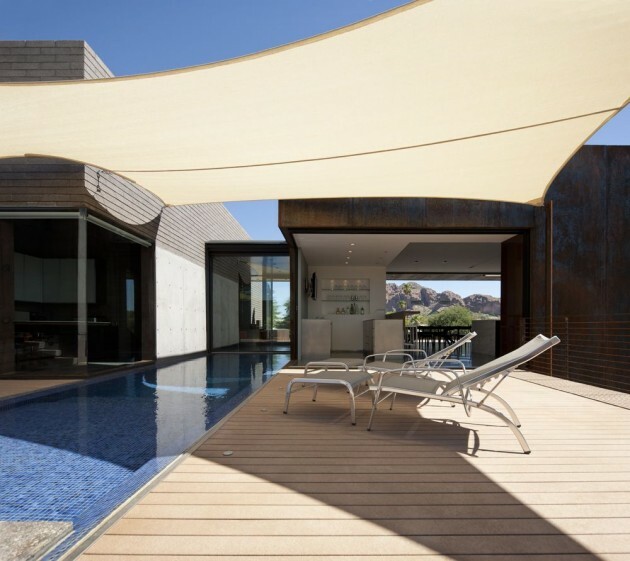 The sunken garden allows for a cooler outdoor space which promotes outdoor exercise from the interior exercise area. 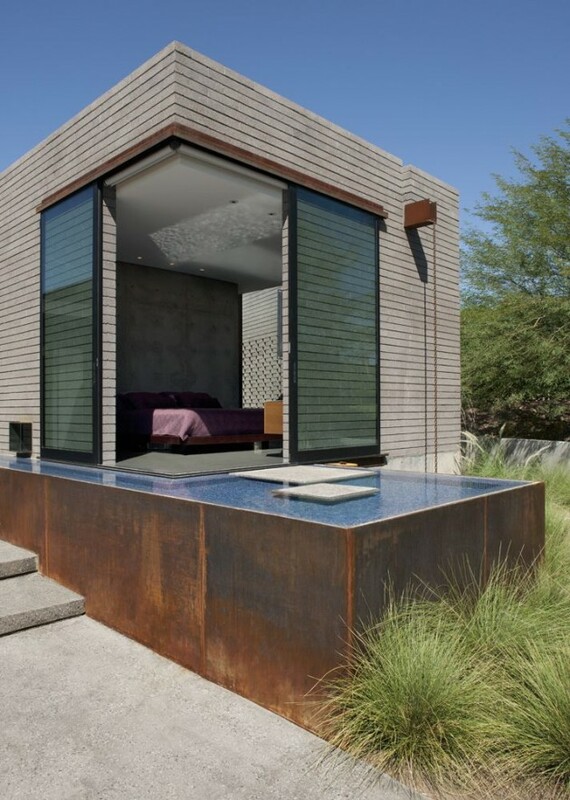 The floating volume which houses the living room and two bedrooms is a metal stud framed construction whose cladding is comprised of blind fastened 4’ X 15’ 10 gauge sheets of weathering steel. 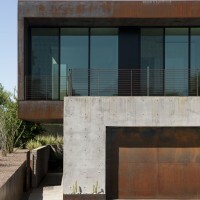 In order to minimize the economic impact of this cladding, 40,000lbs of steel were cut to size and shipped directly from the steel mill in Alabama to the job site. 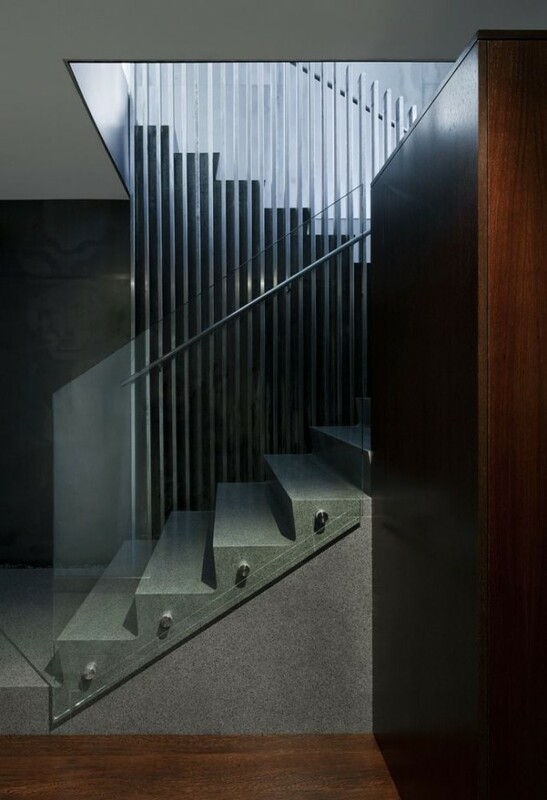 This strategy proved to be economic as the cost of going directly to the steel mill proved to be less than using lower quality material from a local steel supplier. 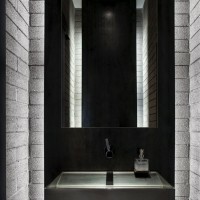 The interior finishes of the project juxtapose highly refined materials with raw industrial materials in order to heighten one another’s unique qualities. 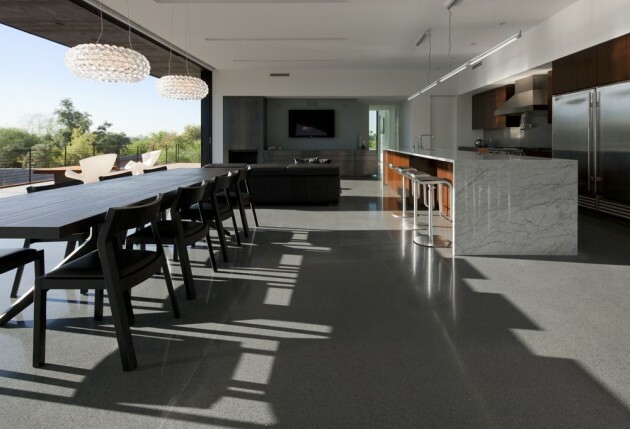 The interior finishes are comprised of polished wenge millwork, non-directional stainless steel countertops, white Carrera marble, and terrazzo flooring. 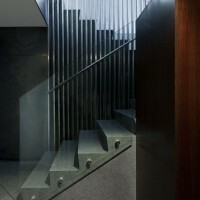 These finishes constantly enter a dialogue with one another by means of their configuration and junctions. 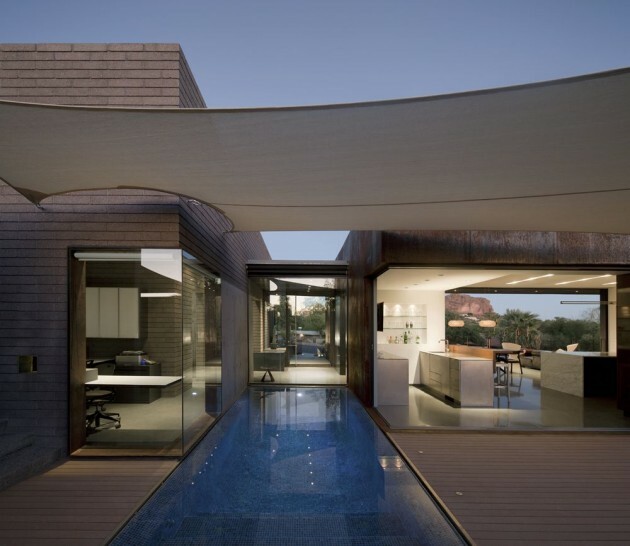 While the project’s main view and focus is towards Camelback Mountain, the spaces of the project work to not only maintain this view but also seek to establish a new series of contrasting spaces.